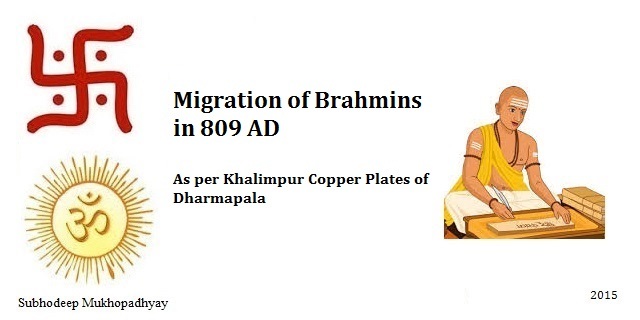 In this post I will talk about the migration of Brahmins as per Khalimpur Copper Plates issued by Pala King Dharmapala in 809 AD in his thirty second regal year. Dharmapala was the second ruler of the Pala Empire and ruled from around 777 AD to 816 AD. As per the Khalimpur Copper Plates of 809 AD, Dharmapala granted four villages in Pundravardhana Bhukti in North Bengal (norther region of West Bengal and Islamic Bangladesh) to a number of Brahmins (Brahmanas). These Brahmins were Lata Brahmins from Gujarat who were supposed to officiate the worship of the deity Nunna Narayana. Thus we see a migration of Gujarati Brahmins from Lata region of Gujarat to norther Bengal (Pundravardhana) in 809 AD as per Khalimpur Copper Plates of Dharmapala. This is a distance of over 2000 kms and would have been a 2000 kilometers walk! Thanks for your time. 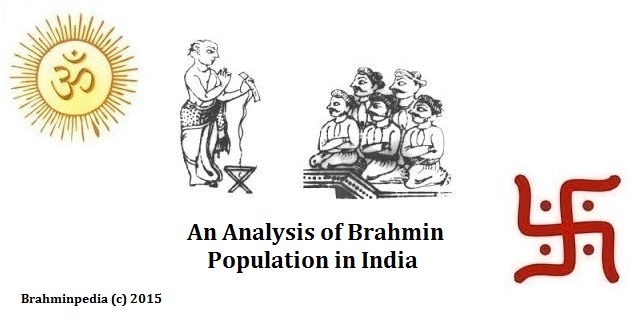 Hope you enjoyed reading Migration of Brahmins as per Khalimpur Copperplate inscriptions. Please feel free to leave your comments and do share this post with those who might find it useful.